The response to British Flowers Week 2014 has been truly remarkable. Thank you to all the growers, florists, wholesalers and media folk who have made British Flowers Week such a success in raising the profile of British cut flowers and foliage. The Twitter reach of #BritishFlowersWeek currently stands at 1.5 million people, up over 535% on 2013. Particular thanks must go to our media friends at @The_RHS @HomesandGardens @GdnsIllustrated @CountryLivingUK @TeleGardening for tweeting their support for British flowers. 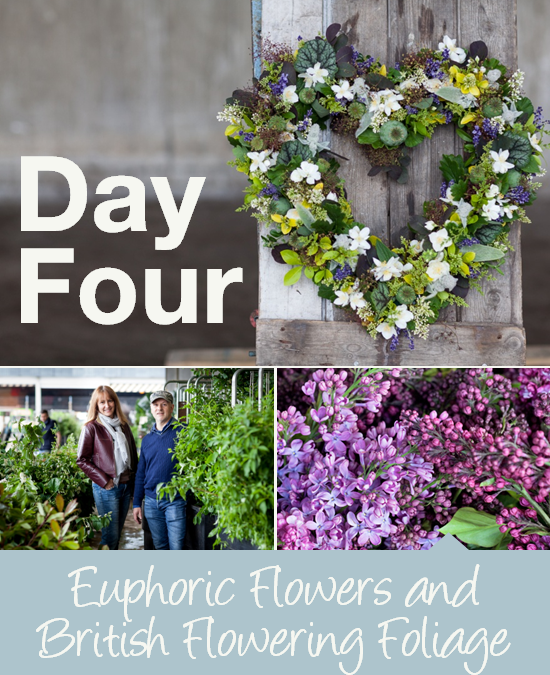 British Flowers Week features appeared in the Daily Express Online, The Daily Telegraph, The BFA Magazine, Fusion Flowers Magazine, The Florist online, Western Daily News, Horticulture Week, Fresh Produce Journal. 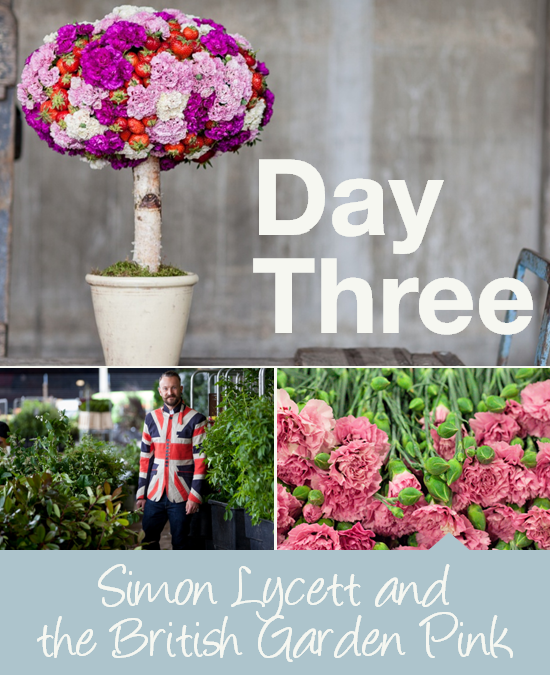 Simon Lycett was interviewed for British Flowers Week on BBC Radio London, and Radio 4's Farming Today. When Radio 4's Charlotte Smith said live on air: "This week – as you will know – is British Flowers Week", we knew that British Flowers Week had arrived! 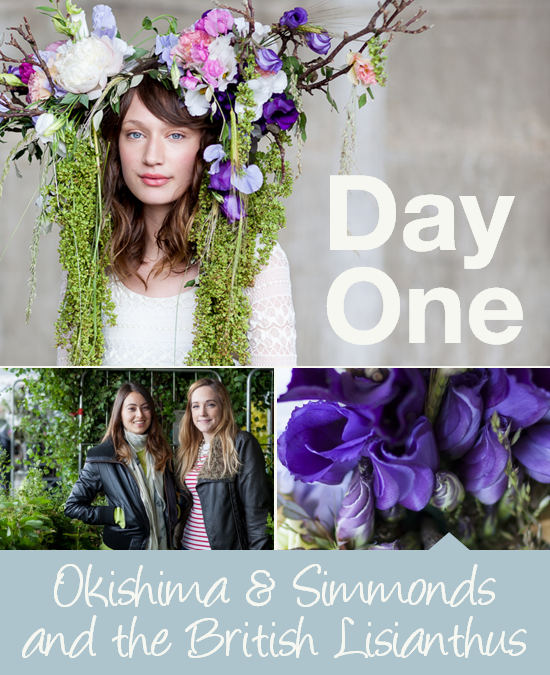 Okishima & Simmonds, the new petals on the floral block, opened British Flowers Week in style with the British Lisianthus. Their spectacular headdress starred in British Flowers Week features in The Daily Telegraph and Daily Express Online. 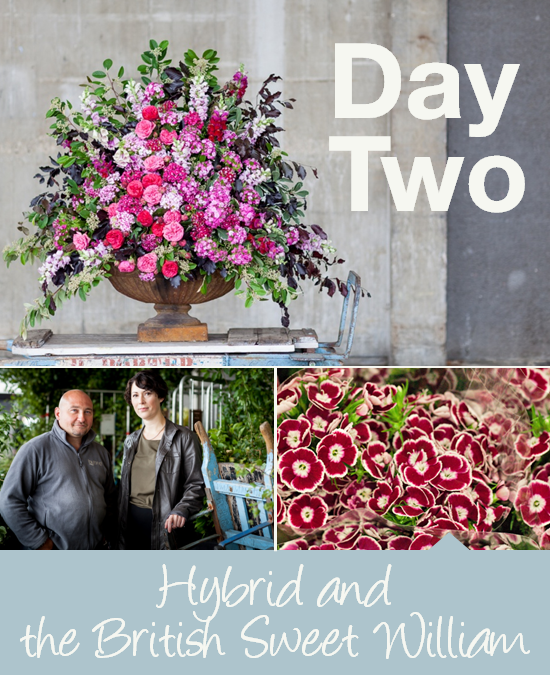 On the second day, the humble, fragrant British Sweet William found itself elevated to glorious superstardom by top wedding, event and corporate florist, Hybrid. Event florist and Flower Market Florist of the Year, Simon Lycett, styled scented British garden pinks mid-week, and sang the praises of British flowers to Londoners on the Jo Good programme on BBC Radio London. 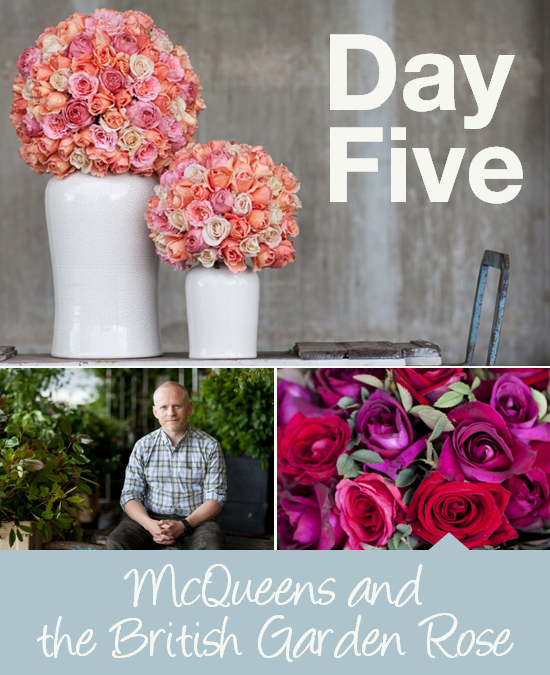 For the grand finale of British Flowers Week, the one and only McQueens, the legendary event and retail florist and flower school, demonstrated the timeless elegance of the British Garden Rose. 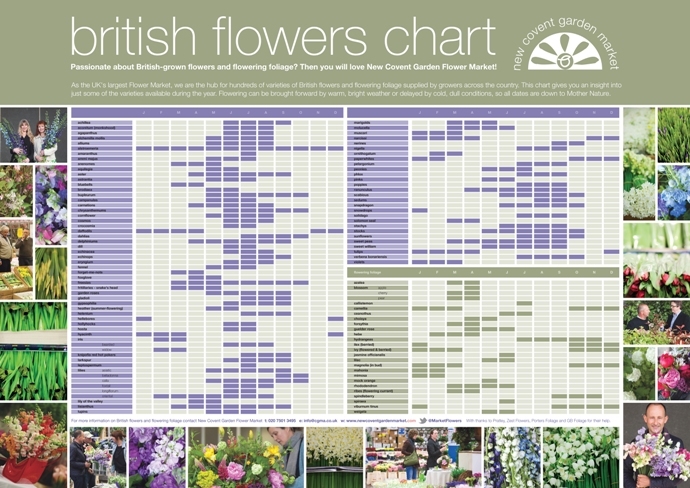 We created our first ever British Flowers Chart for British Flowers Week 2014. You can get your A1 wall chart version free from your Flower Market wholesaler now. If you can't get to the Market, you can download a printable version for free or buy the A1 poster version for just £9.99. We were inundated with your wonderful entries to our British Flowers Week Photo Competition. There were so many that the shortlist was spread over three glorious galleries. We could only pick one winner and that was Field with their all-British floral crowns (top left above). Field's photo summed up British Flowers Week very aptly: beautiful British blooms and one big ol' celebration! Congratulations. The social media campaign inspired lots of exciting real-life goings-on up and down the country. 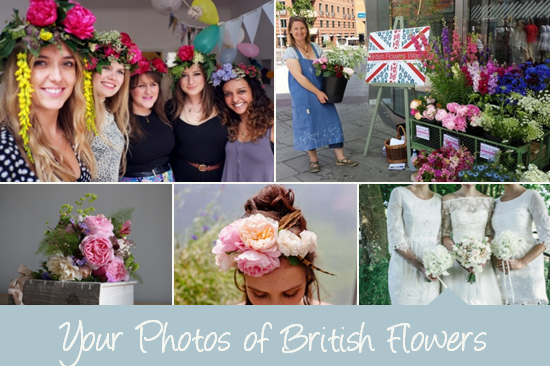 There were Lonely British flowers bouquets, pop-up flower stalls, British flower window installations, special blogs, photoshoots, competitions, giveaways, workshops and more. Just amazing! Many, many thanks to the ridiculously talented Julian Winslow for his breathtaking photographs for British Flowers Week. Julian captured the essence of the Flower Market whilst shining his photographic spotlight on the beauty of British flowers and foliage. 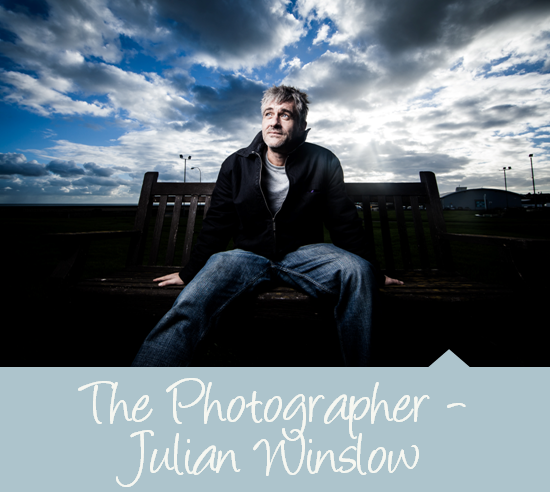 www.julianwinslow.com The above photo was taken by Pete Corney. If you've been inspired by the British Flowers Week, you should know that British seasonal flowers, foliage and plants are available from our wholesalers at New Covent Garden Flower Market all year round. Why not come down to the Flower Market early one morning and take a look for yourself? Thank you again for making the week so fantastic - goodbye til next year!